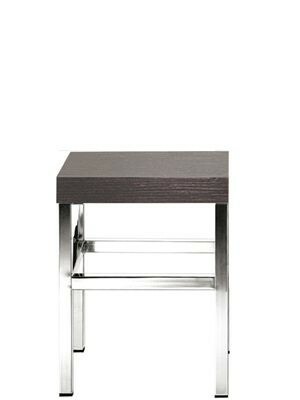 Metal lowstool with oak wood seat. Frame available in Chrome or Satinized. 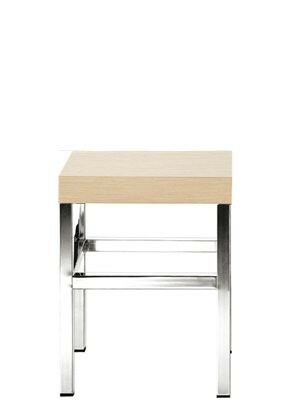 Seat height 550mm. Matching highstool available.